Whether you’re a rookie or an experienced mile and point chaser, it is vital to understand how to use those hundreds of thousands of miles that you amassed through various techniques such as Manufacture Spend and Credit Card Sign Up Bonuses. All member airlines in these alliances allow you to book award seats on their alliance partners using the member’s miles and vice versa. Routing rules and award charts, however, will vary from airline to airline so make sure you understand those before accruing thousands of miles with one airline. Non-alliance airlines such as Alaska Airlines also provide great value since they partner with a diverse set of airlines who primarily fly within each award zone region. For example, Alaska partners with Cathay Pacific (hub in Hong Kong) to serve the Asian routes as well as Qantas (hub in Sydney) for Australian, and LAN (hub in Santiago) for South American routes. Here is a complete list of Alaska’s partners. Why do Alliances Matter for award bookings? To put it simply, if finding award seats is a tedious task now, without alliances it would be nearly impossible for the average person to dedicate enough time to call and find open seats, let alone be able to fly to anywhere in the world using one airlines’ miles. In reality you should be able to find any award search searching the airlines website that you have airline miles with, however it is not always that straight forward. Airlines have have a tendency to only show their own corresponding flights and sometimes block other alliance partners’ flights. Some airlines also need a minimum amount of miles in order to use their search engine and not all of us have a few thousand miles sitting around just to be used as a search engine bait. In every alliance there is at least one airline that allows you to search every single members’ award availability on a somewhat user friendly website. Star Alliance has a the best award search options with United, Aeroplan and ANA. 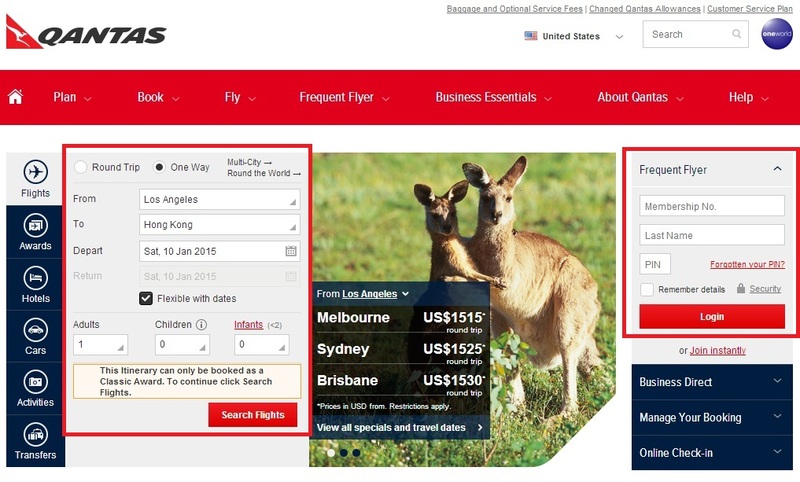 Oneworld award searches are best performed by Qantas and British Airways’ search engines. 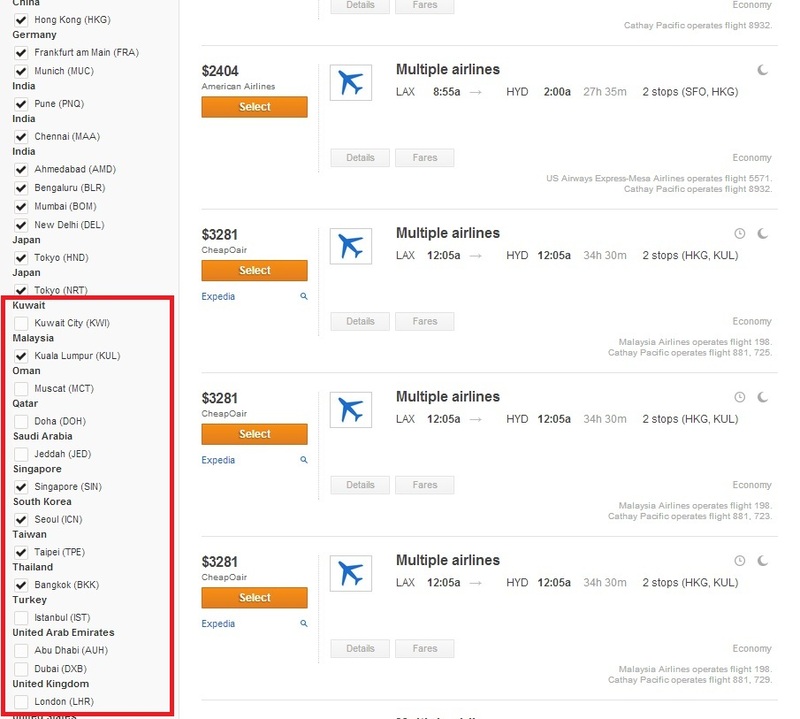 To put this in perspective, you can use any of the listed Star Alliance search engines to find award space on Asiana Airlines or use the listed Oneworld search engines to find award space on Cathay Pacific. How do I know what airlines fly to which destinations? The most common pitfall for rookies is figuring out all the routes from the origin to the destination using only those partners of an airline who allow bookings through miles. Two powerful tools that can be used here are ITA Matrix and Kayak. ITA Matrix is a flight search tool that has very advanced features that are used by some travel agents. Before even thinking about booking a flight, I always make sure to find the routes using ITA as it gives you the feature to skip connecting cities, search using specific airlines or alliances. It’s as if Google, who owns the software, made this for miles enthusiasts! You can read in more detail about the ITA Matrix tool and how to use it here. Although not as powerful as ITA, Kayak provides an easier graphical user interface (GUI) to the user to essentially filter results using alliances as well as layover cities. 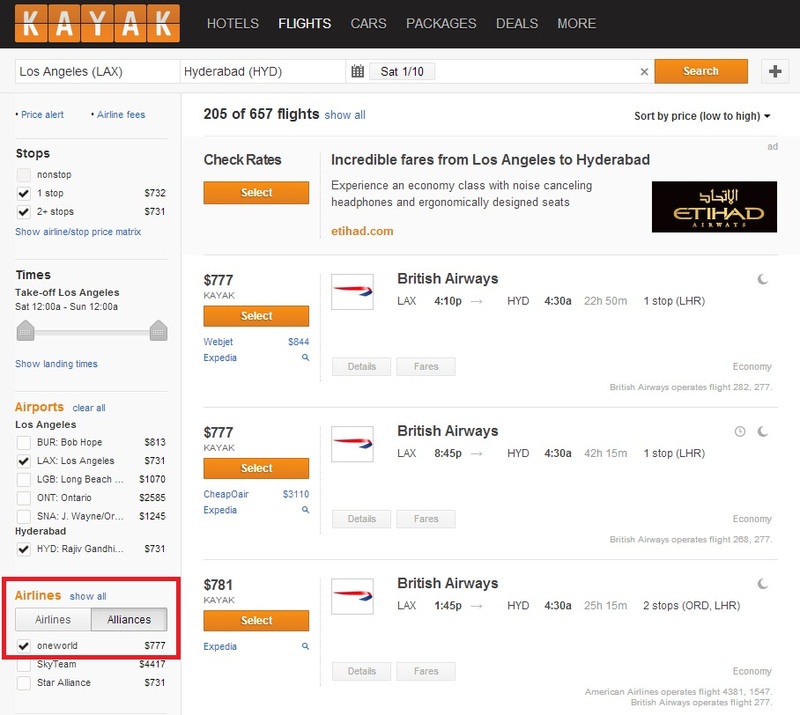 Let’s say I want to travel from Los Angeles, CA (LAX) to Hyderabad, India (HYD) and I would like to travel on a Oneworld partner but not go through London or the Middle East. I will start my search like any other on Kayak and enter the details as needed. Now I will start filtering exactly how I want to route my trip. 2. Click ‘More filters’ to unlock the ‘Layover Airports’ filter that will let me select, or in this case unselect the cities I don’t want to stop in. 3. Unselect the Airports / Cities I don’t want to travel through. 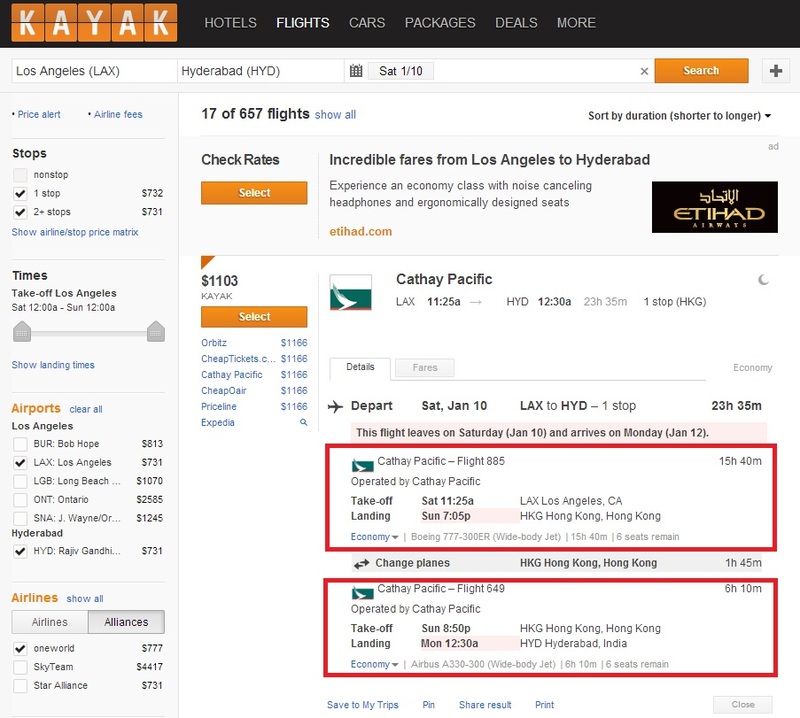 Looks like I need to get to work on the two Cathay Pacific flights highlighted above. 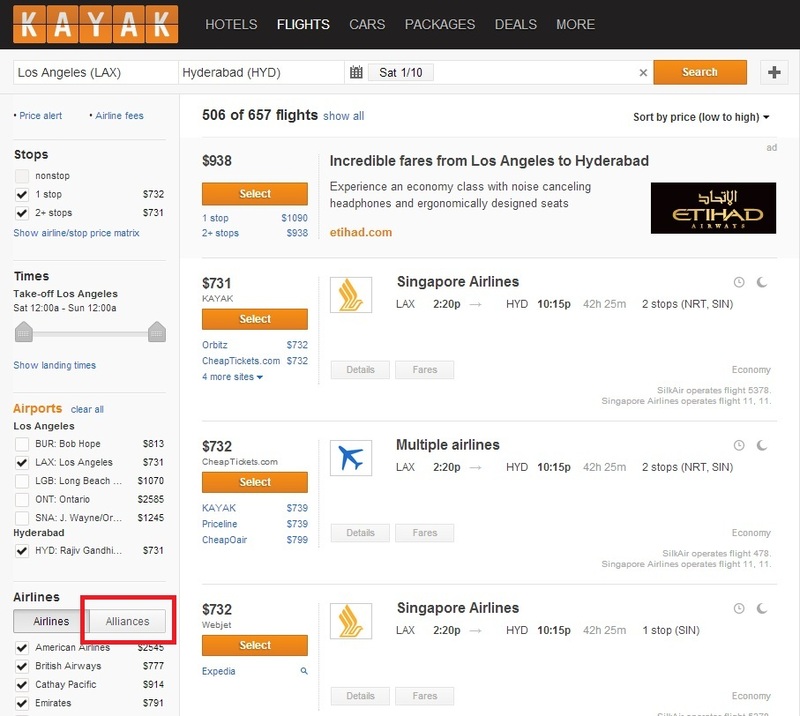 The downside to Kayak is its lack of ability to search multiple airports for the origin and destination in one search which can be easily done in ITA Matrix, as shown earlier. If I wanted to search multiple origin points such as San Francisco (SFO), Seattle (SEA) along with Los Angeles (LAX) then I would need to follow the same steps for all three searches which can become a bit cumbersome very quickly. I will first search for the LAX to HKG one-way segment and then the HKG to HYD one-way segment. 1. Go to the Qantas homepage and login. Once you’re logged in go back to the homepage (if it doesn’t automatically redirect you there) and enter the origin and destination details as needed. 2. 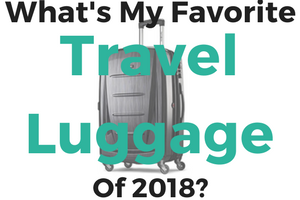 I choose all three travel classes to see what makes the most sense and it looks like I will choose the 24th as my travel date because I really want to fly business class. 3. 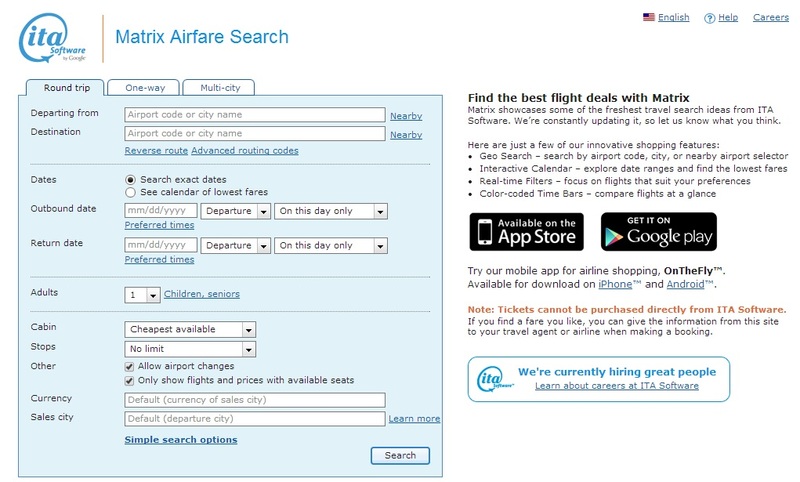 I do the same search in a new browser for the HKG to HYD leg and find really good availability including the 25th! 4. I was really scouting that CX885 but looks like there are no business class seats, however there are business class seats available on an earlier flight CX897. 4. 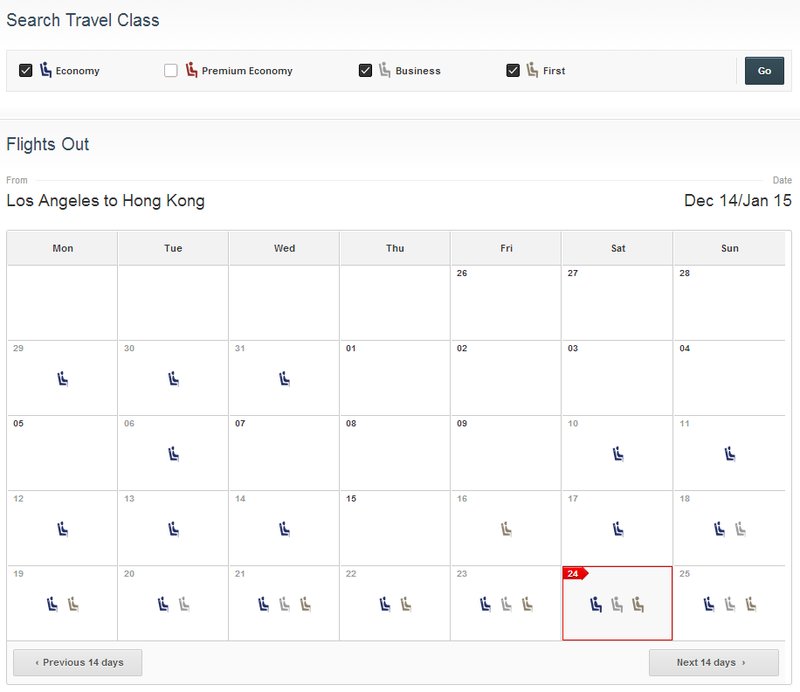 Now I look to ensure the HKG to HYD leg details are what I expect and they are! 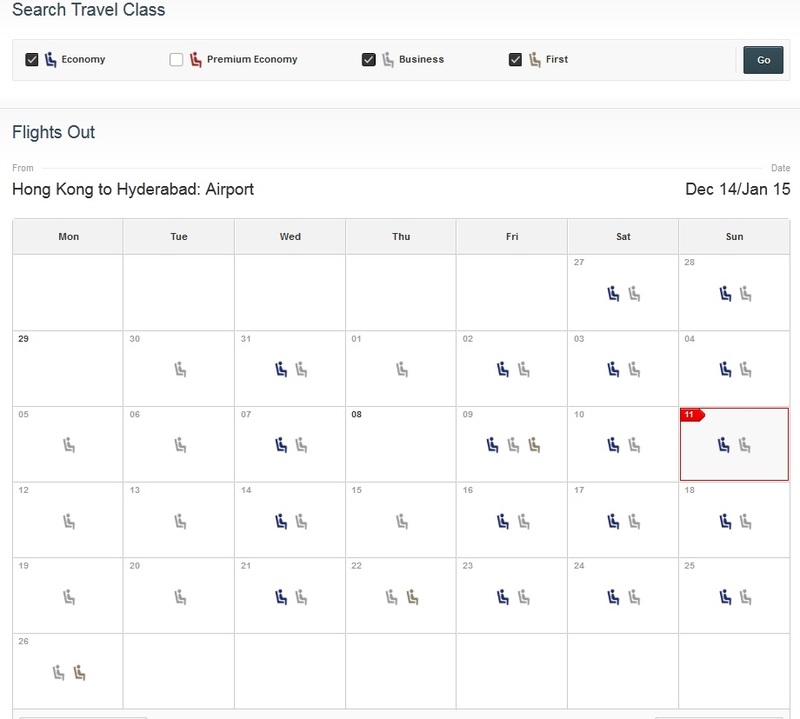 This example of finding Cathay Pacific award availability using Qantas Airlines’ search engine illustrates why alliances are so important, but to get the most value from them you have to know how to leverage them. 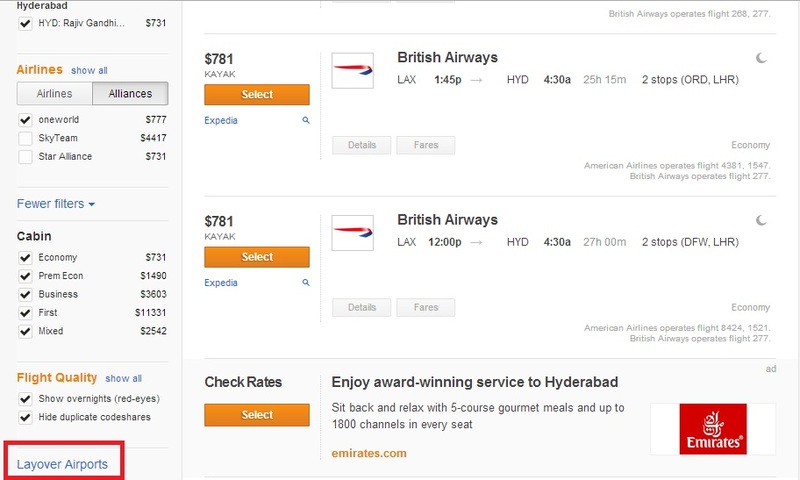 In this example itinerary using US Airways miles to book a roundtrip ticket in business class between North America and South Asia is only 120K is a super deal! US Airways also has a very relaxed set of routing rules which can allow for a free stopover in Hong Kong or a free one-way within the United States like LAX – JFK at a time after this journey. 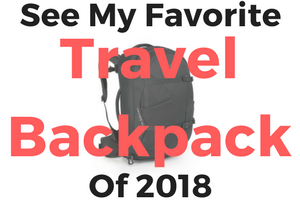 Over the next few posts I will expand on several ways to find the best award availability and maximizing routings by leveraging airline alliances and award searches. I recently got engaged and we’re sooo anxious to book our honeymoon utilizing his Star Alliance Gold status and my oneworld Ruby status. 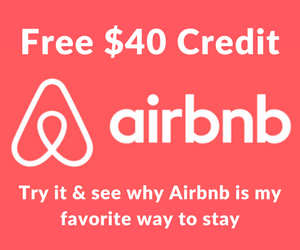 Not to mention the 200k Hilton points and other loyalty programs love! Looking forward to reading this entire series. I’m wondering if a lot of this advice is geared mainly for US citizens? As a Canadian, I’ve noticed I don’t have access to many of this, considering how tight our banking regime is these days. I’m assuming you meant living in the US when you said US Citizens… if so then your assumption is right. 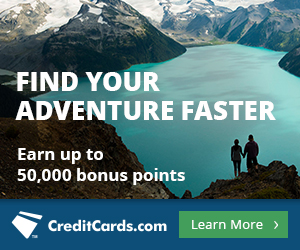 Most miles and points credit cards have their best offers for the US market. However, non-US Citizens living in the US can also apply for credit cards just as citizens can. Hope that helps! You discussed the alliances fine but it would be helpful if you listed all the non-alliance code share and code shares of code shares. Good point although if you’re referring to a codeshare like what AA has with AS then they are partners already therefore any AA flight can be booked using AS miles and vice versa. Code shares such as using AA miles on El Al and using AA miles on Etihad to Brussells and, in turn, Etihad puts you on a Jet Airways aircraft to Brussells. I once flew from Rome to Madrid on CO award and CO put me on an Air Europa flight. I just gave you a few examples of code share without being partners in an alliance. One was using AA miles on El Al. That is because ELAL is a partner of AA therefore you can use AA miles on an ELAL codeshare. The example I gave above talks about trying to use Alaska miles on a AA codeshare with Air Tahiti which is not permitted. Hope this helps. 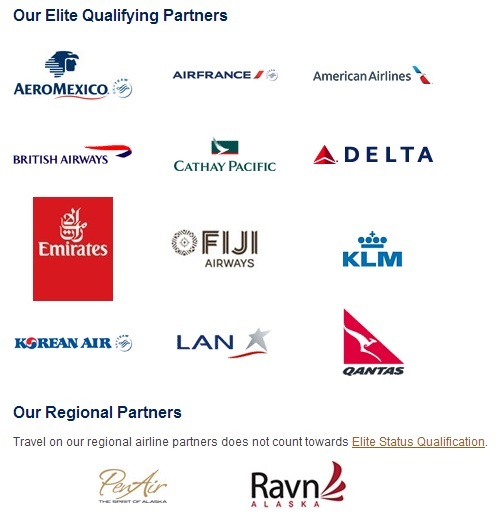 To me, “partner” means alliance partner and El Al is merely a code share. Same for using AA miles with Etihad. This is interesting. I’ve never really bothered with airline points because I tend to use different airlines all the time so this could be worth looking at.